Prior to joining PrincetonOne’s Retail Search Group in 1999, Joan worked for nine years as a retail buyer for a department store and as a product developer for a wholesale sporting goods manufacturer. Her retail and wholesale experience have given her a distinct advantage as a recruiter because she understands the important relationship between manufacturers and retailers. Today as a Senior Executive Recruiter for a variety of retail, wholesale and manufacturing clients, Joan places high performing professionals of all levels in merchandise buying, E-commerce, product development and category management roles from Chief Merchandise Officers to Category Managers. Her clients range from small, privately-held companies to multi-billion-dollar big box chains and department stores. The candidates she sources deliver the business and analytical skills needed to successfully manage profitability of complex product categories while supporting premiere nationwide retail brands. Her goal is to match candidates with companies who share the same chemistry and have compatible goals and desires. Joan’s success is reflected by her commitment to excellence. She is a perennial recipient of the President’s Club Award—placing her among an elite group of PrincetonOne recruiters. 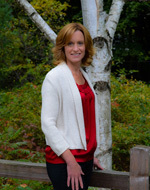 She earned her bachelor’s degree in Marketing from Southern New Hampshire University. She also holds the Certified Senior Account Manager (CSAM) certification, which represents a total commitment to professionalism in the industry. The certification also requires several years of experience combined with a demonstrated knowledge of applicable laws, industry best practices and executive search methodology.